Great vegetarian or pescatarian meals found throughout towns and villages in France (not Paris). 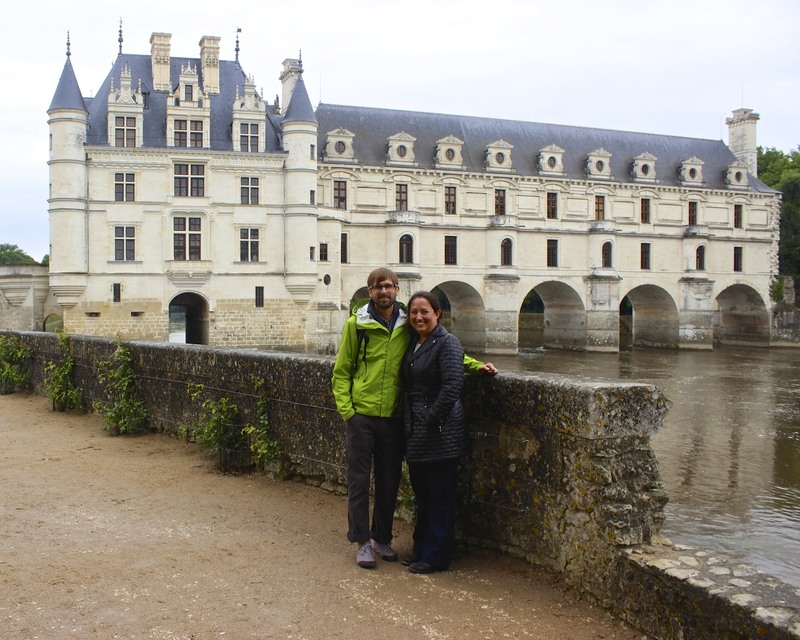 As promised – The Orangerie at Chenonceau. Another tourist location, but again, well worth a visit. 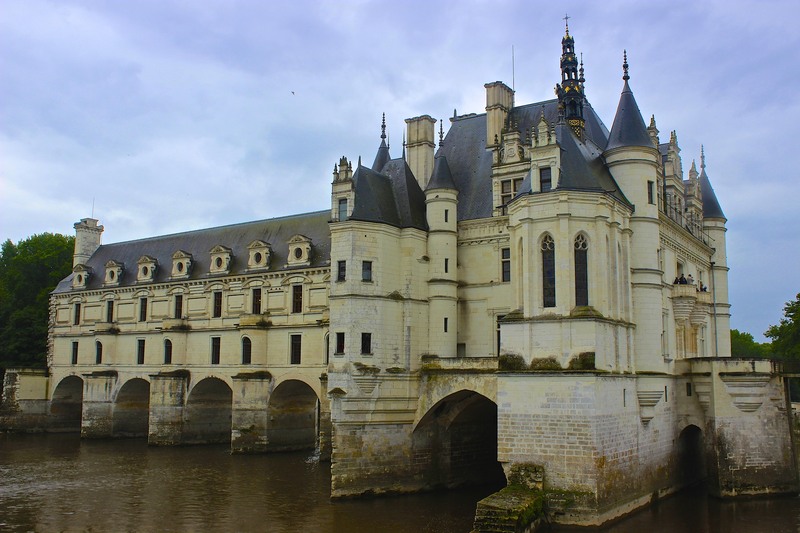 Chenonceau is one of the most beautiful chateaus in the Loire Valley. The entire park surrounding the chateau is breathtaking and deserves a leisurely visit, including lunch! The Orangerie fits perfectly in this setting. Not only is the restaurant elegant, the food is beautifully presented. 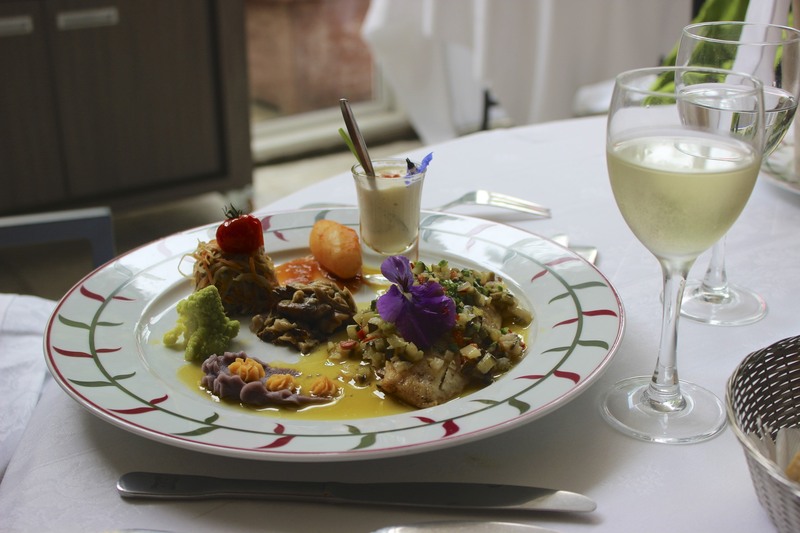 We were definitely surprised by the quality of this meal and would recommend it to anyone visiting the chateau, as long as fish is an option in your diet – there are not many vegetarian options. However, we have found that with advanced notice most places will accommodate. Reservations are again encouraged, and be sure to ask for a seat on the terrace! Chez Guy was recommended to us several years ago before our first trip to Burgundy. We decided not to visit – at the time our diet was even more strict, and we chose to have dinner in Beaune every night so that we wouldn’t need to drive back to the B&B after. Last year, Chez Guy was awarded the “Best of Award of Excellence” by Wine Spectator for their 46 page wine list – and since they are open for lunch I hope we can try it this summer! The menu is small, but there are two pescatarian options for both appetizers and entrees, and of course cheese, dessert, and wine!